The Colorado state seal identifies government buildings and officials. The symbolism, history and emblems of the Colorado Great seal are described in this article with fast facts and information. 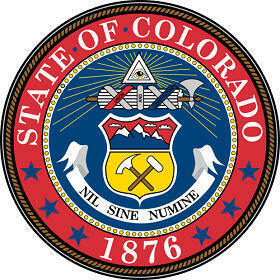 The Eye of Providence is displayed at the top of the Colorado state seal. A pyramid contains the image which is a variation of the Ancient Egyptian Eye of Horus, aka the Wadjet. It is also referred to as the all-seeing eye of God, the mystical eye or the Eye of Providence. 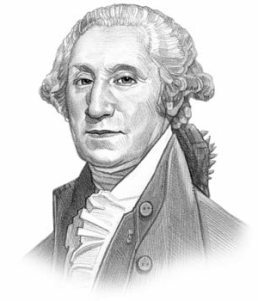 A similar image is depicted in the Great Seal of the United States and most commonly seen on the dollar bill. The Eye of Providence is a Christian version of the ancient symbol showing an eye surrounded by rays of light or a glory and enclosed by a triangle. It is sometimes interpreted as representing the eye of God watching over humankind (or divine providence). The object below the eye on the Colorado state seal is a Roman fasces. A Fasces is a bound bundle of wooden rods with an axe blade projecting from the bundle. The fasces symbolized authority and power. The rods, bound together, symbolize strength in unity. The men who designed the seal saw themselves as modern-day successors to the old republic of Rome and its ideals. 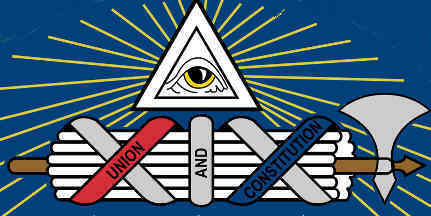 The words 'Union' and 'Consitution' bind the fasces together. Below the shield in a semicircle is the Latin motto, "Nil Sine Numine and at the bottom the figures 1876, the year Colorado achieved statehood. The Colorado State seal is kept and used as required by the Constitution and laws of the state. This flyer shows the 1876 design of the seal showing the Eye of Providence and important symbols of the state. The depictions of the miners and prospectors are interesting as is the picture of the workers log cabin in the distance.